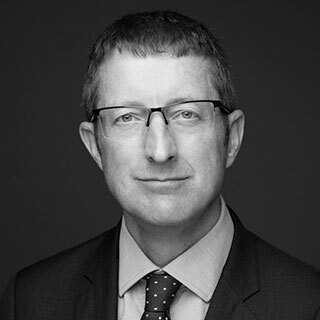 Trevor Wiles is a partner in FRA’s London Office in the Forensic Accounting team. He has over 27 years’ experience of providing forensic services, in particular leading investigations into allegations of serious fraud and misconduct, regulatory issues, and the root causes of compliance failures. In recent years Trevor has investigated allegations of bribery and corruption, accounting misstatement, embezzlement, procurement fraud, sanction breaches, channel stuffing, and asset misappropriation for organizations in a variety of industry sectors, including energy and natural resources, financial services, telecoms, pharmaceuticals, and manufacturing. His experience covers investigations undertaken throughout Europe, Middle East, Africa and Asia. Trevor works collaboratively with clients and their legal advisors to bring a multi-disciplinary approach to investigating complex, and often multi-jurisdictional, matters, including the use of forensic technology and data analytics to help identify crucial evidence faster and more effectively. Trevor also advises clients on the implementation of robust compliance programs, including ABC and anti-fraud programs. This includes helping clients to undertake fraud and compliance risk assessments, and to introduce proportionate controls to mitigate identified risks. Trevor also assists clients to determine the effectiveness of their existing compliance programs, and provides fraud and misconduct awareness training to client staff at all levels.